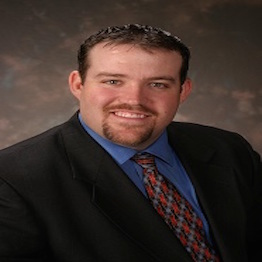 Bharon is currently serving the profession as the Executive Director of OneChiropractic. OneChiropractic is a coalition of concerned individuals and organizations advocating for the preservation and advancement of a drugless chiropractic. He has been a leader in the business aspect of healthcare for almost two decades. He has worked in the chiropractic profession for eighteen years and taught for sixteen, developing his unique “non-doctor” approach through ownership and management of numerous clinics. As a former consultant specializing in coding, documentation & compliance, Bharon has counseled hundreds of healthcare facilities and employers, evolving a profound understanding of the professional environment. His onsite method of consulting gave him the ability to diagnose and develop systems that most consultants miss. His management and consulting experience coupled with a strong background in psychology and communications has made him a compelling speaker, addressing many major events and earning accolades as “the most entertaining but educational speaker in healthcare.” Not only has he become known for his speaking style but also his ability to work with all factions of the profession to bring unity and clarity of purpose. He also served as the Executive Director of The Ohio State Chiropractic Association (OSCA) for six years. This experience enabled him to facilitate a new model of State Association management. In his first year with the OSCA saw a 26% increase in membership. He developed a hands-on approach to member benefits. Working with the members in their offices and helping them develop long term change and success. At the conclusion of this time with the OSCA the association saw a significant increase in membership, revenue and influence in the state of Ohio. Hoag’s new venture with the creation of OneChiropractic has ignited his passion and purpose. The mission of this organization is to harness the power of the chiropractic patient, drive for chiropractic parity in healthcareand to ensure the individual chiropractor has the tools to succeed. Achieving these goals will make Chiropractic the #1 healthcare choice in the world.